#10 Best birthday gifts for dads under $100 in 2019. If you’re looking for the perfect dad gift, we’ve got you covered with this collection of the best birthday gifts for dads under 100 dollars. Dads are pretty awesome. However buying presents for dads? Not so awesome. The thing about dads is that they usually don’t want anything, or they already have everything the want. If your dad’s birthday is coming up and you still don’t know what to get him, this list of 10 best items under $100 will serve as inspiration! These are our picks for some of the best birthday gifts you can get for your father for under $100. ALL INCLUSIVE: Absolutely everything you need to brew 10 bottles of authentic craft beer at home. 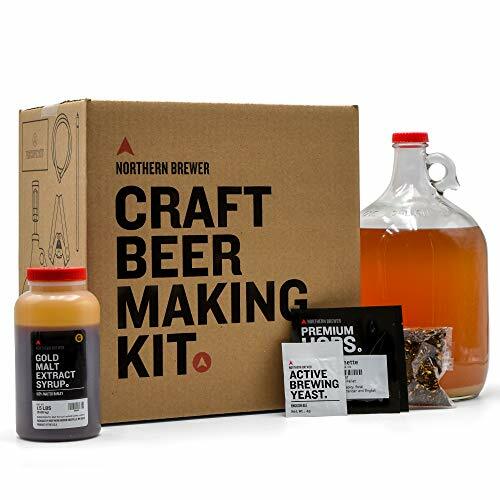 If your dad enjoys beer more than any other alcoholic drink, then his birthday is the perfect opportunity for you to et him a Craft Beer Making Kit. This could be the start of a new hobby for him! This starter kit makes one gallon of beer and it includes everything your dad will need to make it happen. This kit is Irish Red Ale, but there are other kinds of beer kits, so be sure to check them out. This one has a great taste and it doesn’t take long to age, which makes it one of the most popular options. If dad doesn’t have a tablet yet, then it’s definitely time to get him one. Or it can also be an upgrade! The Fire HD 8 Tablet is a great option because it’s inexpensive but highly functional and practical. 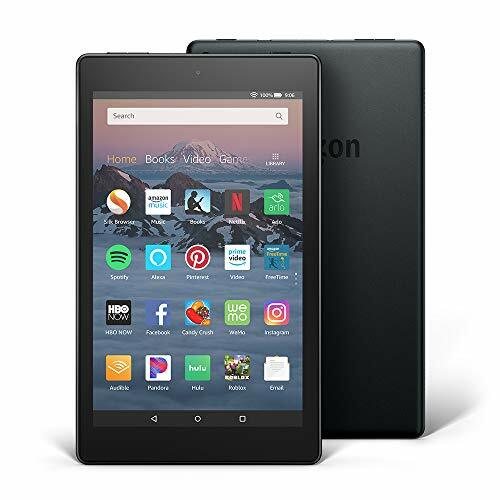 With its HD display, 1.5 GB of RAM and 16 GB of internal storage, this is the perfect tablet for your dad to browse the internet, check social media, see what’s on Netflix, read the news, play his favorite games, and more! Alexa will also make your dad’s life easier, so that’s definitely a plus! Every man needs a casual, day-to-day watch they can trust. 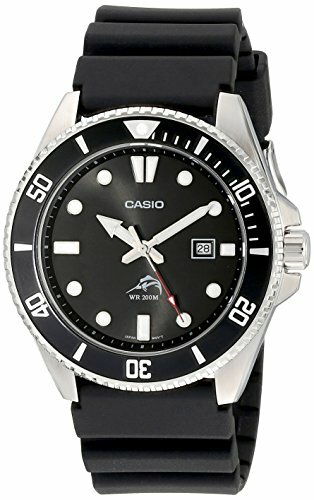 This Casio analog anti reverse bezel watch is a perfect option because it looks incredible and it does what it needs to do. Its water resistant up to 200 meters, it features a one-way rotating bezel, screw-down crown and screw-lock back, mineral glass, date display, and a resin band. Overall, this watch looks elegant, simple, and it’s easy to set up. This is definitely the kind of watch that your dad can just put on and go out the door to start the day. 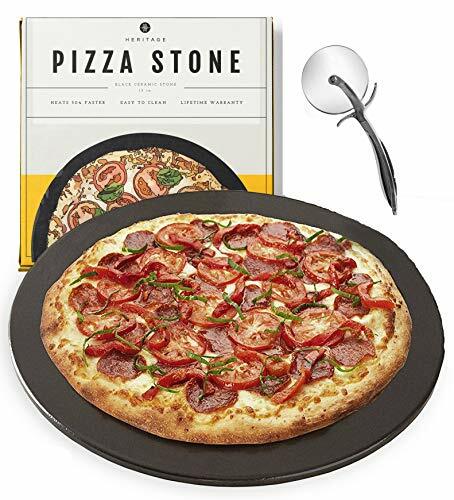 If pizza is your dad’s favorite meal and he loves making it at home, you might want to consider getting him this pizza stone and pizza cutter wheel set. This stone pre-heats two times faster than other pizza stones on the market, it’s super easy to clean, it doesn’t smoke and it keeps the flavor of the pizza just how dad likes it. It’s also durable and it won’t crack in the oven. This is definitely something dad can use and it will make him feel great to have such an essential tool! 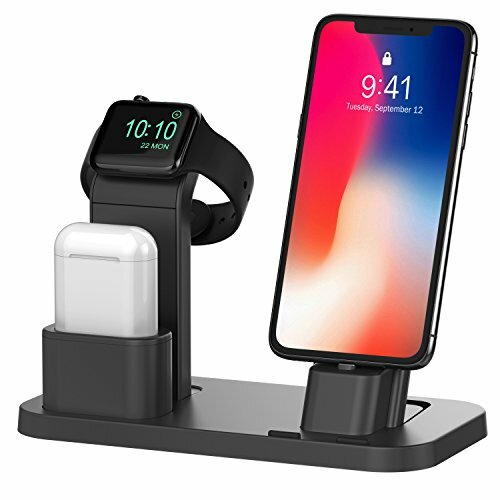 If dad is an Apple man and he’s always struggling to keep his iPhone, Apple Watch and AirPods charged, it’s definitely time to get him a charging dock! This Charging Dock For iPhone, Apple Watch and AirPods will allow him to charge all three items at once and it’s super practical. The design is elegant and when it’s not being used, it doesn’t look strange or out of place. This is something he can keep on his desk or his bedside table to make sure he’s always 100% charged. There’s nothing more useful than a charging dock nowadays, so I wouldn’t think twice about it! 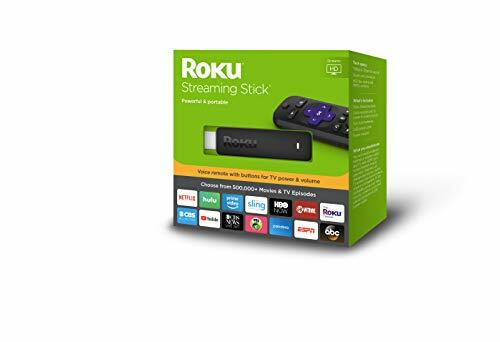 If Dad is a huge media streamer, the Roku Streaming Stick is definitely the right present for him. This streamer is super fast and reliable, it supports a great amount of apps, and the interface is super user-friendly which means Dad will be able to get the hang of it very quickly. It’s both powerful and portable and it will become one of your Dad’s favorite gadgets. There are over 500,000 movies and TV shows available, which is more he’ll be able to watch in a lifetime! Overall, this is the perfect gift and it will make him extremely happy. Sometimes Dad needs a wallet upgrade, and this one is a great choice! 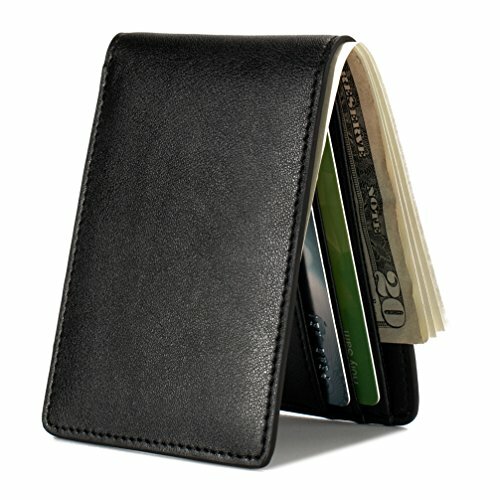 This Slim Wallet offers comfort, lightness, and a lot of space for Dad’s cards and cash. The style is very minimalist, sleek, and elegant, just how Dad likes it. The wallet is made of premium synthetic leather and it’s super durable. It features one cash pocket, three card slots, RFID blocking and one ID window, which is perfect for people who don’t like to carry a lot of stuff in their wallets. Overall, your Dad will definitely appreciate the upgrade! If he loves nature and goes camping quite often, getting him this Coleman Camping Stove is definitely a great idea. 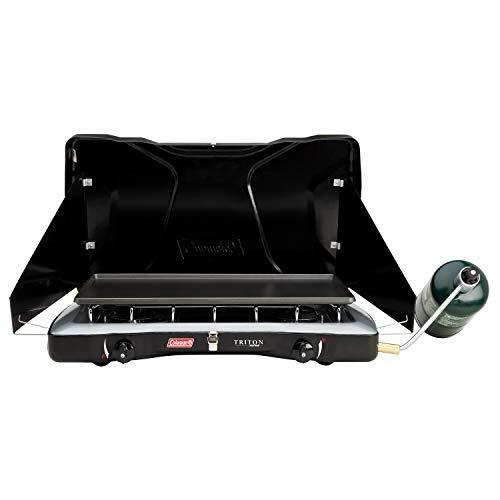 Being able to cook in the great outdoors with ease is one of the best gifts you can give him. This stove is large enough for at least two pans and it provides a consistent performance that will allow your dad to cook a hot meal whenever he’s out there getting in touch with Mother Nature. 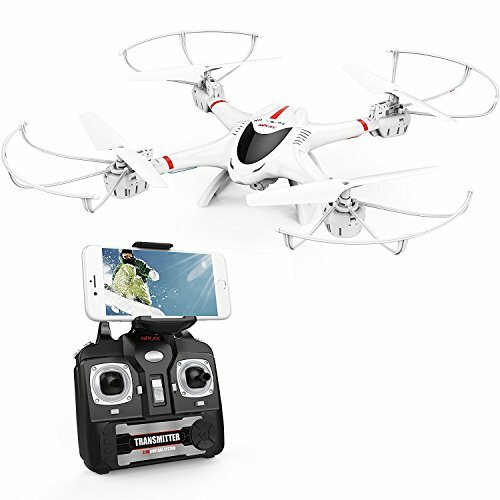 If your dad is still in touch with his inner child and he enjoys drones, you might want to get him a new one! Fooling around with a drone is actually quite fun, and this FPV Quadcopter Drone makes for a great gift. It features FPV (first person view) real-time transmission when you connect it to your phone, it has a high-capacity battery, and it’s definitely a joy to play with. The quadcopter is inexpensive, fun, and it provides a lot of features that are interesting to discover. In other words, your dad will love it! If Dad appreciates a nice, clean shave, getting him this Harry D Koenig & Co Silver Shaving Set to keep his things in order is a great idea. The set comes with a stand, a razor, a bowl, shave soap, and a natural bristle brush so he can apply his shaving cream smoothly. 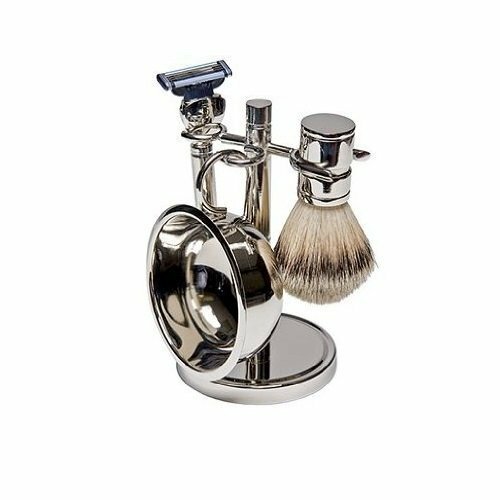 This will look great on his sink and he will love the practicality and usefulness of having all his shaving items organized in one place. As you can see, any one of these options will make a great present for dad, so make sure you choose the one that suits him best!